Updated Wednesday May 23, 2018 by NASC Softball. 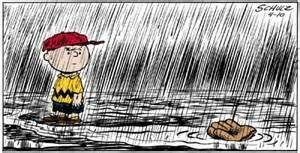 In the event that softball games will be cancelled due to heavy rain and/or poor diamond conditions relating to heavy rain, the City of Oshawa will contact the league to close the diamonds for the evening. This is generally done prior to 4:00pm and any such closures will be put on the front page of the league website. If the City has not closed the diamonds, players are expected at the diamonds. If your team does not have the minimum of 8 players present, they could lose by default (and the Park would be responsible for the full umpire fee instead of just half). There may be some instances where the league will cancel all games after 4:00pm. This would happen if there is significant rainfall in the late afternoon that affects playing and/or diamond conditions. When this occurs, the league will post such on the front page of the website and a mass e-mail will be sent out.